FIRST 5 lessons £15.00 each Hurry call now !! 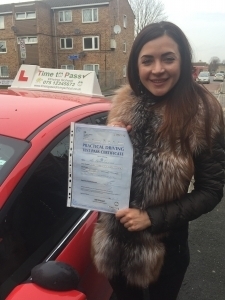 At Time To Pass Driving School, we exclusively use fully qualified driving instructors who have completed between 12 and 18 months of professional training and successfully passed DSA (Driving Standards Agency) exams testing their ability to teach learner drivers such as yourself. You will learn to drive at your own pace. Our driving instructors will tailor your tuition around your specific needs, moving quickly on subjects you find easy to spend more time on areas where you require more work. You will be taught according to the most current Driving Standards Agency syllabus, designed to teach you all the skills needed to become a safe and confident driver for life.